We’re always on the lookout for the best new photography shoot locations in Melbourne. 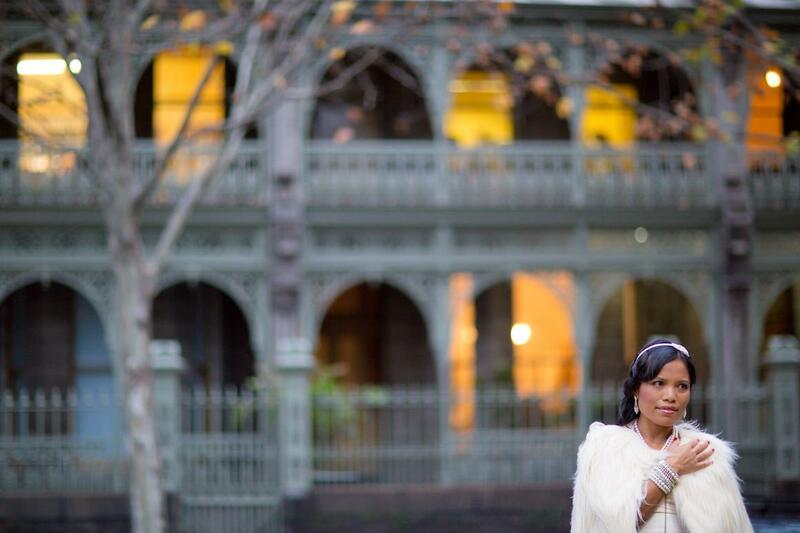 We shoot lots of different wedding in Melbourne each year and we get challenged with new locations every time. Some of these spots you may already have heard about, some hopefully are totally new to you. Even when we do a photo shoot at a well known spot, we’re going to give you some ideas on how to shoot differently at the location to give your photos a ‘wow’ factor and present the location in a different way to what you normally see. We hope you get inspired to pull out your camera and head towards these wonderful locations. Happy snapping! 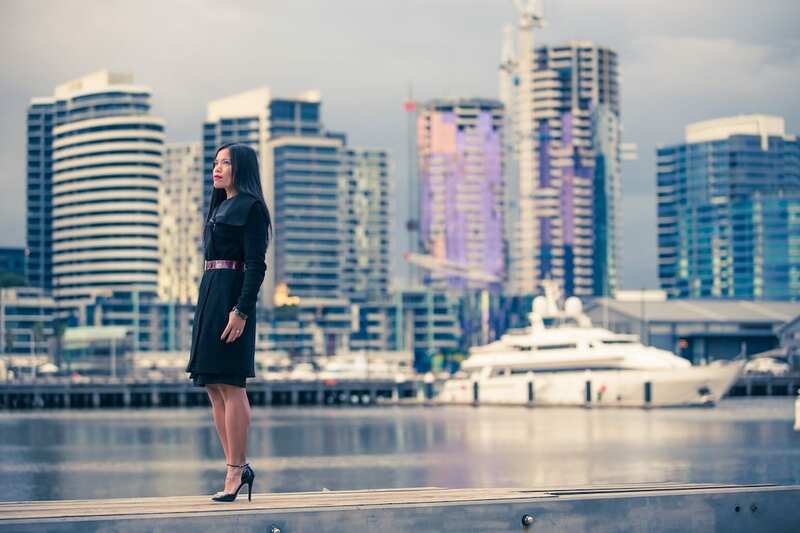 Located at the fringe of the city, the Docklands is quite spectacular for photography. You’ll get a nice sunset here. There is water, boats, sculptures, cafes, bars and restaurants. Oh, there’s also Melbourne city in the background. Parking can get tricky if there is a football match on at the Etihad Stadium so go when there’s no football match on or catch public transport! There’s enough places at the Docklands to keep you snapping for quite a while. The area is still developed and changing constantly. Best at sunset! Late afternoon is okay here too and if you can get up early enough, you might try getting out there for sunrise which could be stunning over the city. 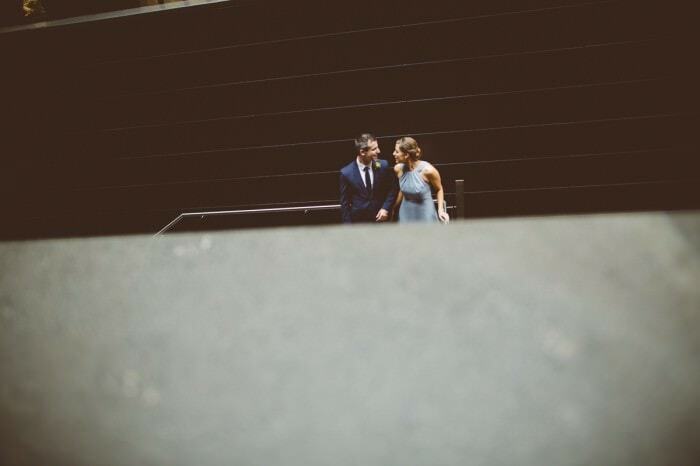 The Docklands is great for small family shoots, engagements, bride and groom photo shoots, fashion shoots or just nice portraits where you want the city as a background. The Docklands is suitable for any outfit from super casual to evening wear. 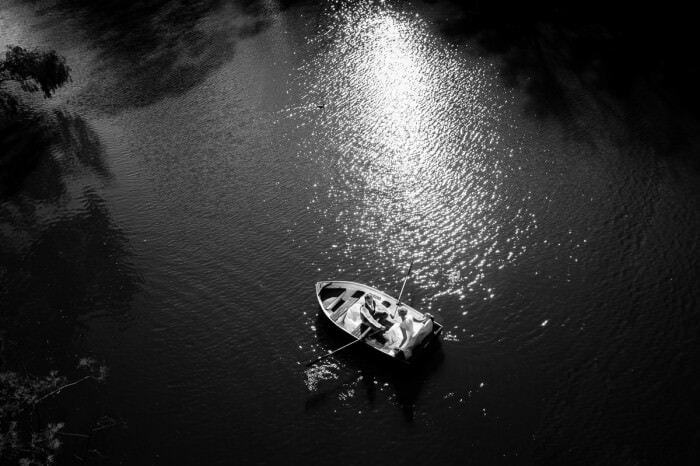 Some of the boats there would suit some vintage styling but I would keep things quite modern down there. Have a look here for some more pictures of the Docklands. We love this building for it’s architecture which resembles soccer balls. It’s located about 1km from the Melbourne CBD and is situated between the Yarra River and the Melbourne Cricket Ground (MCG). What a great spot for a modern photo shoot. We shot here in full sunshine. One side of this structure (Richmond side) is great for up until the afternoon (the earlier the better). The other side (city side) would be fabulous for a late afternoon or sunset shoot. There is also the athletics track next to it which we’d love to do a photo shoot at one day too, when it’s not too busy! The footbridge which joins AAMI park to the Rod Laver Arena is also an impressive backdrop for photography. 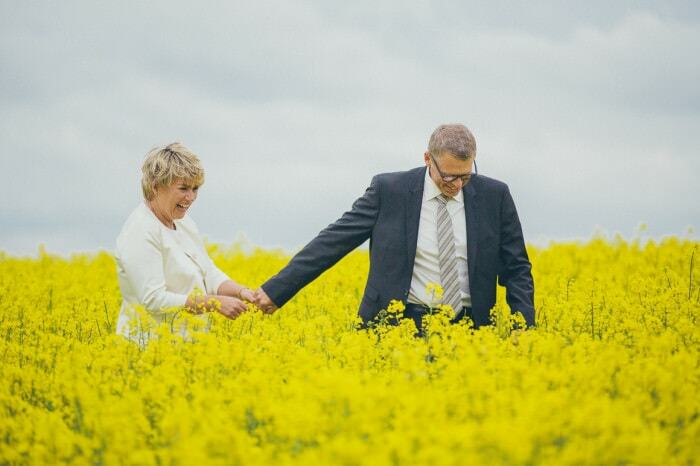 We would recommend engagement shoots, wedding shoots, family shoots or fashion shoots. Keep the clothing black and white or go with brights like red or fucshia. Keep clothing plain and avoid florals or really busy patterns which would clash with the style of the building. Have a look here for some more pictures of the AAMI Stadium. This is such a well known photo spot! It’s ever-changing artwork provides fresh backdrops for photo shoots so you could return there again and again. It’s a busy photo spot so try to get there when others aren’t! Middle of the working day would be the most ideal time if you have that time to spare, then it would be very early on weekend mornings. This lane way is ever changing – the artwork there is never the same for even a day. Make sure you visit more often and snap away. Because it is a laneway, the best light you will get will be any time of the day apart from sunrise, sunset (it’s very dark at both these times) or when the light is directly above the laneway (harsh shadows are cast on your subjects face). Fashion shoots are regularly conducted here. It’s a popular place for engagement shoots and is desired by some bride and grooms. This is definitely a place to take photos at if you are a tourist! Almost anything goes for Hosier Lane! The artwork is so colourful here that you can dress in lots of colour to blend in or you can choose to stand out in a colour-block outfit. Have a look here for some more pictures of Hosier Lane. Bet you haven’t heard of this one! This building is just gorgeous all year round and is located at the top end of town on Royal Parade in Parkville. Trinity College is a residential college of the University of Melbourne. It reminds me of Hogwarts in the Harry Potter movies. The brick buildings and archways makes you feel like you’ve stepped back in time. I’d say that Autumn would be my favourite time of year to do a photo shoot there because the vines are a beautiful shades of pinks and orange. If you want to shoot in the archways (undercover), any time will do as it does get a little dark in there. If you want to use the buildings as a backdrop, start one hour before sunset and stay until the light is gone! Wedding party shoots are popular here. Make sure you book if you want to do a wedding party shoot there as a permit is required. The costs vary and they don’t want more than one lot of bride and groom and their bridal party there at one time. They will give you one hour and half to shoot there so book in advance for your preferred time. Have a look here for some more pictures of the Trinity College. Degraves Street is one of Melbourne’s famous laneways where you can enjoy some great food and coffee right in the heart of the city, and feel like you are somewhere in Europe! The coffee found in most of the cafes here are pretty good. This laneway is busy all day long with food being served from breakfast through to dinner. Again, there are always photographers running around as there is so much to capture. You will get your typical Melbourne laneway pics here! You can get some pretty amazing bokeh with all the lights in the background. Degraves Street is quite a dark area for photography any time that is not mid afternoon. The bokeh that you get from the lights in the laneway help to create a beautiful image. Shoot there any time you please. Even when the sun is right above the laneway, there is plenty of shaded areas for you to place your models or subject. If just taking photos of the laneway itself, it’s probably best to wait until the sun is not directly above. 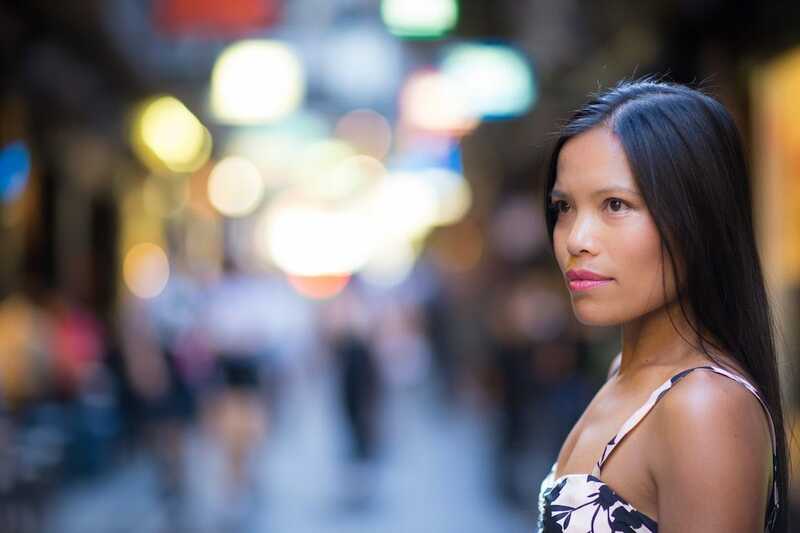 Degraves Street is great for fashion shoots, engagement shoots, bride and groom photo shoot. It’s a tourist spot so go and see it if you are visiting Melbourne! Almost anything you want! A vintage styled shoot would be fabulous here. Have a look here for some more pictures of Degraves Street. Up at the top end of Melbourne city is where Spring Street is located. This street hosts the lovely Hotel Windsor, the Old Treasury Building and Parliament house. These buildings are impressive, especially the front of Parliament building! Those huge pillars are quite grand and makes this spot really busy with newly wed couples. The Hotel Windsor, along with it’s concierge provides a vintage backdrop for a photo shoot. Spring Street and some of its adjacent streets have a vintage vibe. Sunset is our favourite time to take photos at this location. Hang around afterwards and you get some pretty city lights in your shots. Any time before that produces some harsh lighting unless it’s overcast! In overcast situations, you can produce nice shots any time of the day. You’re going to struggle for space on the weekends, especially at sunset as this street is full of newly weds! The steps of Parliament House is the most popular spot for wedding photography. They do charge for photography at the steps of Parliament House. There are always queues of brides and grooms at this spot most of the weekend. So, unless you are shooting a wedding, go on a weekday! Spring Street is great for an engagement or fashion shoot as well. Spring Street has a vintage feel about it so it would probably be best to style your subjects in vintage too! A French look would be great for this location. Keep it classy. Have a look here for some more pictures of the Spring Street area. 5km away from Melbourne’s CBD is the gorgeous Port Melbourne Beach. We just love our beaches! Photo shoots at beaches are a lot of fun and can be stunning, especially at sunset when you get the sun to backlight your subjects. We like Port Melbourne beach for it’s close proximity to the city. The Spirit of Tasmania ship makes for an interesting background. 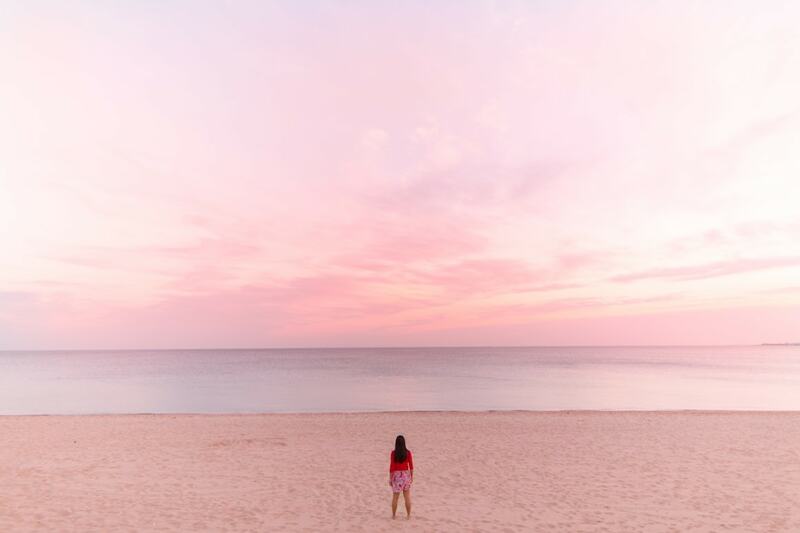 Sunset is the only time we would recommend that you hit the beach for a photo shoot. This best light being half and hour before sunset and half an hour just after the sun has set. This is the time where you can shoot in any direction and the light is just beautiful and soft.You need to be a little bit lucky to get some interesting colours or cloud formations. Port Melbourne beach is great for weddings, engagement photo shoots, family photos, kids photography. It all depends on what you want to achieve from your photo shoot. For our own family portrait at a beach, we keep the colours neutral. Bright colours such as red, orange and fuschia are also great to blend with the tones of the sunset. Have a look here for some more pictures of the Port Melbourne beach. Just 8kms out of Melbourne’s CBD is Elwood Beach. During the summer, this place is jam packed! It’s a great location for a swim or a family picnic. There are council barbeques available for use free of charge! There is also a great path for runners, skaters and bikers all the way along the bay. From Elwood Beach you can see the city skyline which is really quite pretty at sunset. Some afternoons you can watch parachuters floating down onto Robinson Reserve. Point Ormond is a great spot to go up and watch the sunset from. It’s a little hill just at the city end of Elwood Beach. This is where we had our family portrait done. It was the end of January and the day was sunny, warm and breezy – the perfect combination of elements for a photo shoot! Sunset! This is unless you want to do some people watching! Most have headed for dinner by this time of day so it makes it the best time for a portrait shoot. Choose a day like the one we picked for our family shoot and there is hardly anyone there! Sand blown into the face is never any fun. The city skyline is also best seen at sunset. 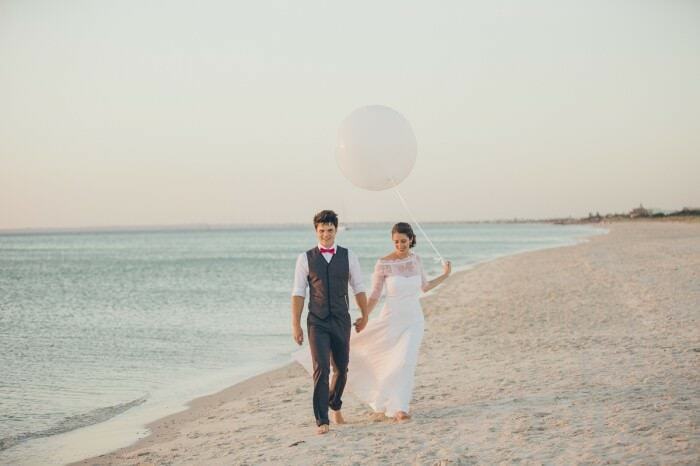 Engagements, weddings, fashion, kids, family and landscape photo shoots are ideal at Elwood Beach. We kept the tones for our family portrait session very neutral. When there is wind, a floaty dress or skirt works wonderfully and it gives some movement to the still picture. Bright tones such as yellows, oranges, reds and bright pinks would work well here. 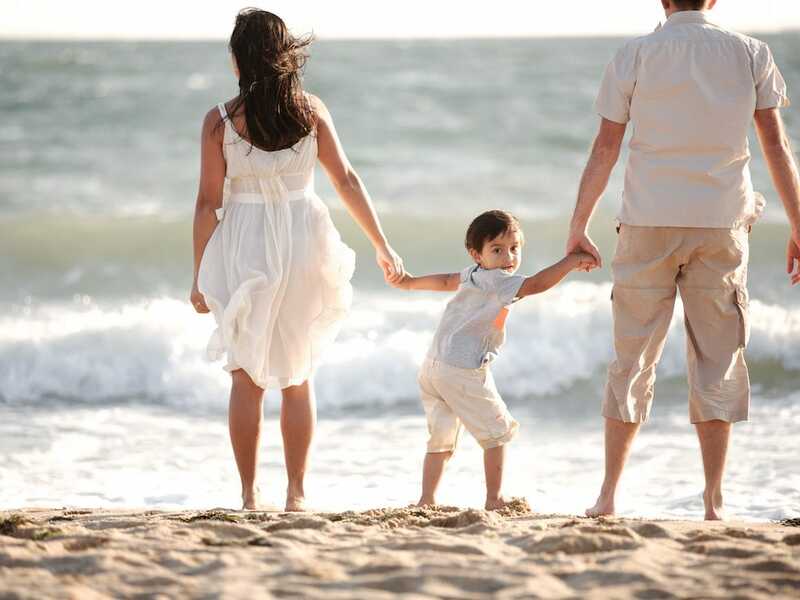 For family portraits, try getting everyone to wear different colours or different shades of the same colour. If you want an Hawaiian feel, go for the hibiscus prints. For all other types of portraits, stay away from patterns and florals as this may distract from the beauty of the beach and sea. Wear colour block items of clothing (solid colours). Have a look here for some more pictures of Elwood beach. This is just located at the top end of the city. 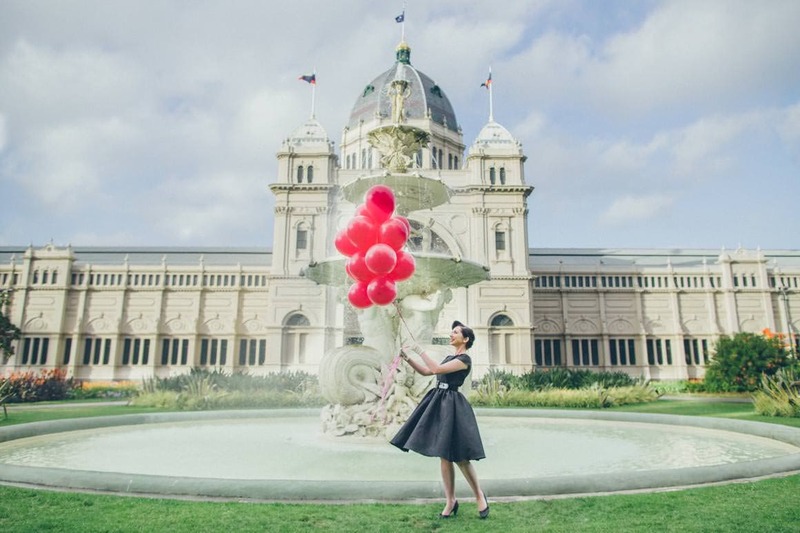 The gorgeous grounds of the Carlton Gardens is an extremely popular location for wedding photography, especially now that there is no permit fee for using it! Even though we went mid-week around lunch time, we were fighting for shooting space with two other photographers! During the weekend, there will be at least ten different couples running around at any time! It would also be advisable to check out whether there are any events which are being held in the Carlton Royal Exhibition building as these bring masses of visitors. There are stunning tree lines, a duck pond and plenty of plants and flowers around the Carlton Garden grounds. The Imax and the Melbourne Museum is right next door to the Carlton Gardens. There you will find some modern structures, a giant Rubiks cube and a children’s playground which are also great to photograph at. There’s plenty of spots around the Carlton Gardens which are suitable for photographing at any time of the day. Sunset is always best when you are photographing in an open area. Have a look here for some more pictures of the Carlton Gardens in Melbourne. What are your favourite photography locations in Melbourne? Hope there’s enough here to get you inspired to pick up your camera and head out for some photo shoots! Of course this list of photo locations around Melbourne can only be a small help for you. There are plenty of other locations – Melbourne is such a versatile city. We’ll be adding more locations from time to time so do visit us again. As we shoot lots of wedding in Melbourne we always get challenged with new locations (and we love this) and believe us or not every location can be shot in a beautiful way. As mentioned in our article think about styling and light as much as the location. Update: We wrote another article about Melbourne wedding photography locations which you can find here. Also make sure you follow www.fabulous-femme.com where we always explore new locations and post wonderful images.